I am married to a teacher. Many people are married to teachers. 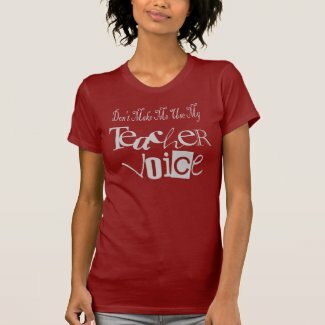 One thing that always makes me quake in my boots is the sound of the "Teacher Voice." It actually became a joke between us when we first married. "Oh no. Not the Teacher Voice, Please"
So these items struck a chord in my memory. 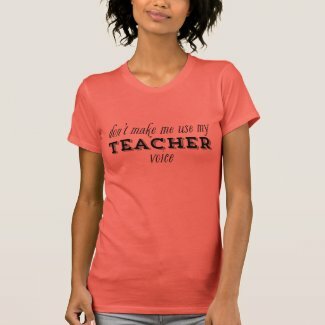 Here's to the "Teacher Voice"